Art auctions are straightforward to organize and can be a lot of fun both for the artists involved and those looking to buy something. Everyone wins: your organization raises money for a good cause, local artists get the chance to show off their talents, and participants get the opportunity to go home with a creative artwork of their choice. There are lots of different variations you can work on as well. If you're fundraising at a school, you can get the kids involved with creating their own paintings or drawings. Alternatively, you might want to help support a specific local artist or two with the auction. It has even been known to hold auctions where all the artwork has been produced by pets! There are no restrictions on who you could ask to contribute artwork for the auction, although be careful not to create so many pieces that many of them are left unsold. If you're arranging a school or church event, then just about everyone who wants to have a go can do. 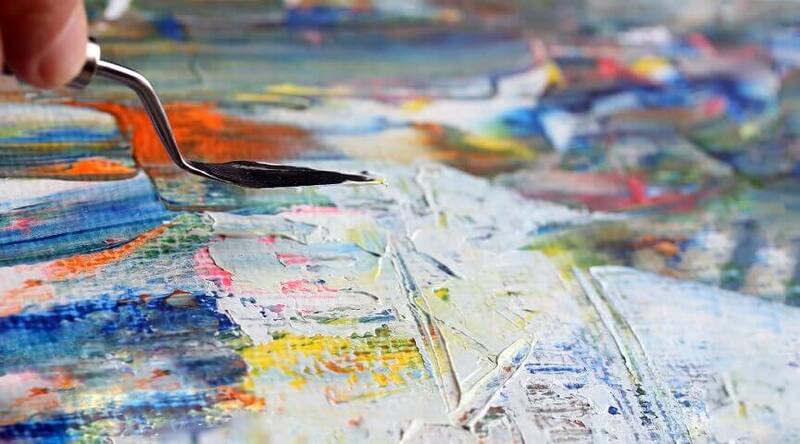 You might want to think about putting some restrictions on the type of artwork that can be submitted, or leave it completely open: paintings, sketches, sculptures, and photographs can all be considered. Remember that all the artwork submitted will need to be transported to your ‘auction house', once you've chosen one. What's most important is that you have a complete list of everyone who wants to submit something. This will help you plan how much room you're going to need and how much time the auction is likely to take. You should also make sure that every piece of art is clearly labelled with the artist's name. One option is to have an overarching theme that all of the art pieces are requested to be based around. This could be something to do with the local community, or it could be something to do with the cause that your organization is supporting. Having art that's emotionally tied to a particular place or event means you're more likely to get higher bids. How well the event is promoted is crucial to its ultimate success. You can use all kinds of methods: social media, local letters, flyers, posters, and advertisements in the local media. Get your artists to advertise on your behalf by telling their family and friends to come along to the auction. Whatever your promotional material ends up being, make sure that all the details that attendees will need is included. Important information such as the time and date of the auction, together with the type of art on show, should be prominently shown. As always, explain the cause that you are raising funds for and why it's important to your organization. The more people know about the cause they're supporting, the more generous they'll be with their bidding. You might want to consider attaching a minimum bid to each piece of artwork, but be careful not to put buyers off. If there is a minimum bidding level, make sure this is mentioned in the event promotion and on the day as well. Offering refreshments to your bidders as they arrive is one way of adding to the total amount of money raised. This only requires a small amount of extra preparation but your guests will appreciate it. Thirsty or hungry bidders may not feel as generous as they otherwise would be. You're going to need a suitable venue for the auction: somewhere where there's enough space for everyone to see the artwork and decide what they'd like to buy. A series of tables and displays that people can walk around might work better than a theater-style setting where everything is kept at the front. You also need to decide how you're going to run the auction. The traditional way is to have an auctioneer who handles bids as they are shouted out from the audience. This can help to push the price up higher, but doesn't work so well if the crowd is shy about offering bids. It can also be embarrassing for those whose artwork doesn't fetch quite so much. An alternative method is to have a ‘silent auction' where people write down their bids on slips of paper which are then dropped into boxes by each piece of artwork. You don't get the same competitiveness as you do using the traditional procedure, but it means your auction event can run across a longer period of time and gives people the privacy to bid at a level they're comfortable with. With the bidding completed and the winners worked out, all that's left is to distribute the artwork to the top bidders. As the presentations are made, take the opportunity to thank everyone for attending and to plug the causes that you're raising money for as an organization. Be sure to follow up with the winning bidders some months down the line to let them know the practical differences that their donations have made.